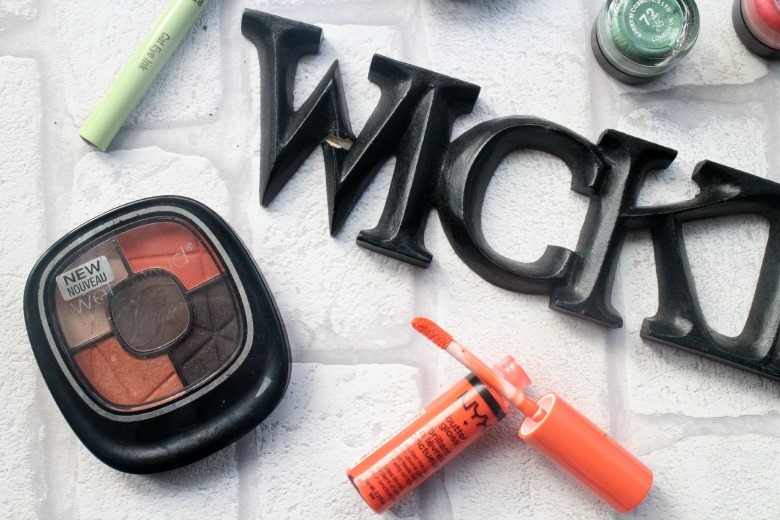 As Halloween fast approaches I decided to have a look through my make up collection and see what products I have that can help me get into the Halloween spirit this weekend and was pleased with what I found. I think we all have a black liquid liner in our stashes and Pixi Cat Eye Ink* in Intense Black is one I've been using lately. The slanted tip makes it easier for me to create an almost perfect cat eye flick that lasts long into witching hours. Winged eyeliner is the perfect accompaniment to any smoky eye and if you want to keep things dark my find was Drama Eyes Eye Inspire Catwalk Quad from MeMeMe*. Four baked eyeshadows that can be applied wet or dry depending on intensity wanted in shades of black, blue and grey. A heavy dark smokey eye will transform any little black dress into something from the darkside. If you want to be a bolder with your choice then I love Barry M Dazzle Dust*. At just under £5 and often available on 3 for 2 they make a more affordable choice than Mac Pigments when looking for some more colourful options. I have shades 72 - bright emerald, 73 - pinky orange and 74 -violet purple and all can be applied lightly and built up for a heavily pigmented statement eye. A little goes a long way with the Barry M Dazzle Dusts but adding definition in the crease and a heavy cat eye it makes for a wearable look that will make you stand out from the crowd. The next item might not strictly be a 'Halloween colour' on the lips but it'd certainly be fun to pull out Barry M Genie Lipstick* whilst attending your parties. 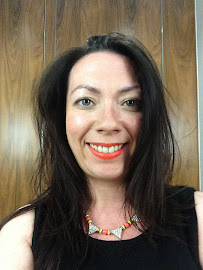 I love this lipstick as firstly it's a great shade of pink (and perhaps better suited to Summer wearing) but peoples faces when they see me applying it on the train is priceless. I might just take this along for my niece to enjoy while we're trick or treating on Saturday. 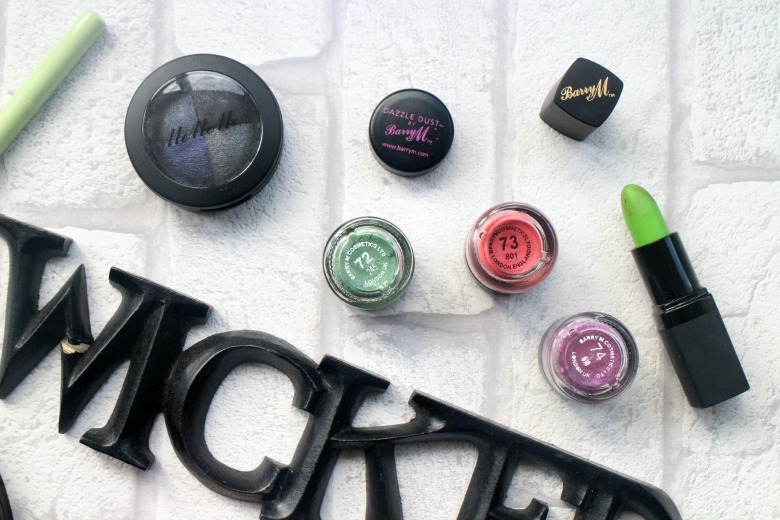 For those interested Barry M also have a Halloween Bundle available from Boots here. Finally are two favourite products of mine which are very wearable and often sported during the Autumn months. Desert Festival is one of Fergies palettes with Wet n Wild, a set of five all you need eyeshadows which can create day to night looks without any fuss. I wore this a lot last year as you might have read in my review here and it's one I'll definitely be returning to way after Halloween. And finally another lip product that will compliment any pumpkin theme is NYX Cherry Cheesecake Butter Lip Gloss* which you can now find in Boots - hooray. NYX Butter Glosses have been raved all over the blogosphere and I can see why. I'm not typically a gloss fan but these are not sticky and give a medium to sheer coverage I can wait to buy more. 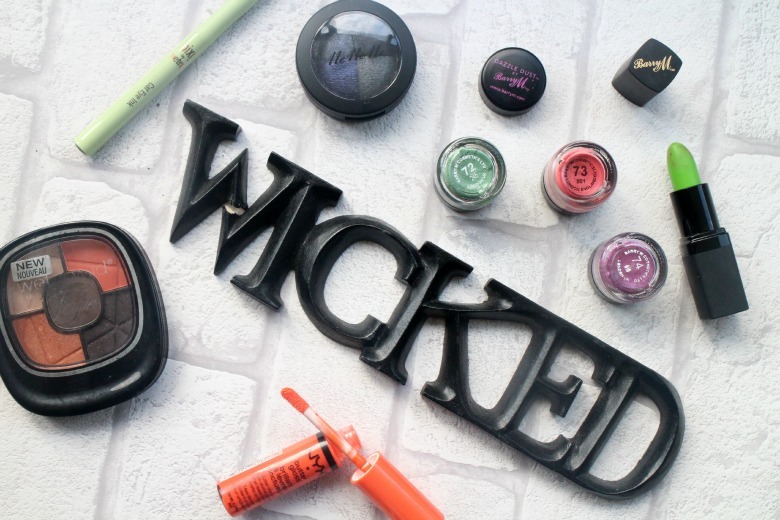 What do you have in your make up bag that you could use for a Halloween make over? You need to post your Halloween look!